Delicious on any sweet or savoury dish, especially on cheese and prosciutto. DOP/PDO guaranteed. Comes in a wood box with cork pourer and a glass pipette. 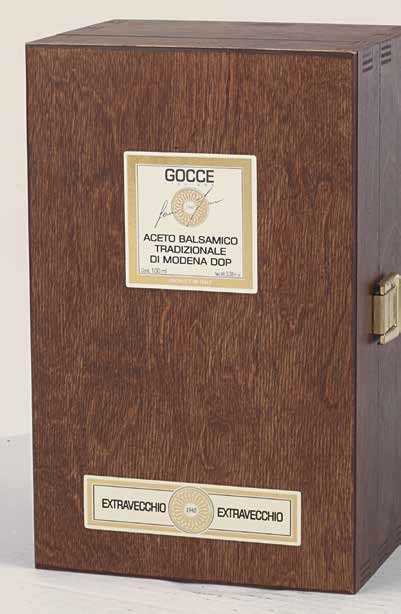 It is the only Balsamic of Modena with DOP/PDO guaranty. Made only with Cooked grape must aged in wood barrels for over 12 years with annual transfers into different wood barrels (travasi). It is actually enjoyable on any finished dish.